This second floor bedroom has a double bed. 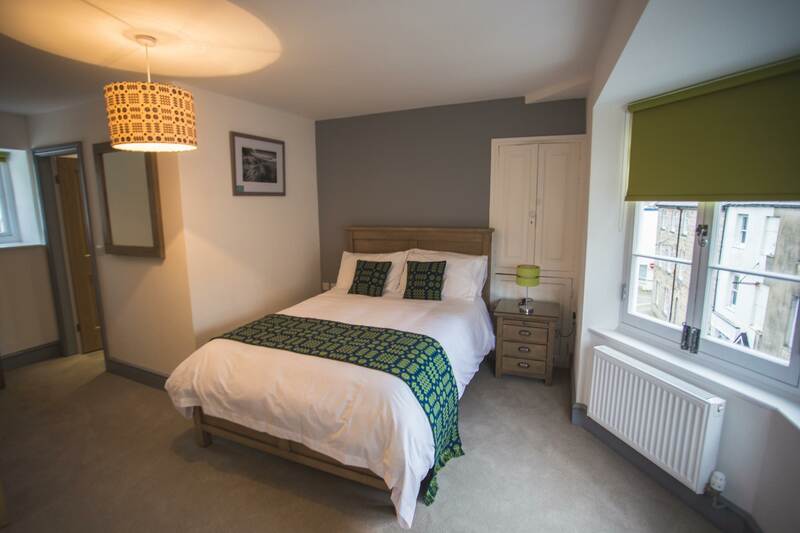 With green and blue Welsh tapestry, this is a relaxing and light room and takes its name from the famous magician, Gwydion. 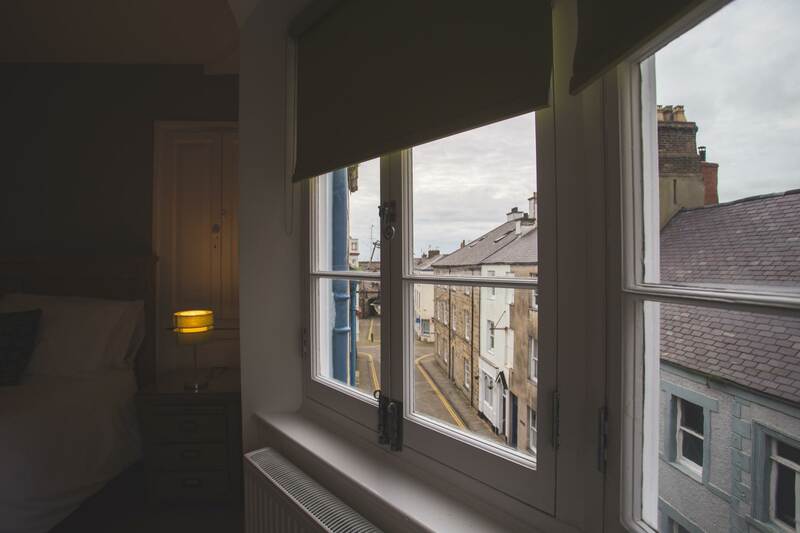 The bedroom’s bay window offers a view on to the old High Street to the Porth Mawr (East Gate) and down towards Porth yr Aur (West Gate / Golden Gate) and the Menai Strait. 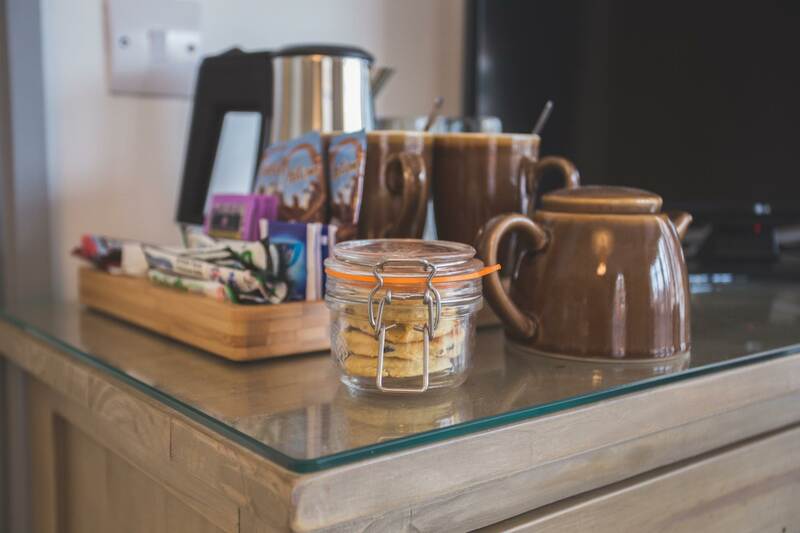 Wi-fi, television, tea and coffee facilities are provided in addition to a wardrobe and easy chairs. The bathroom includes a shower, luxury towels and body-wash products.